Delivery from £31.13 to United Kingdom in 2 - 3 weeks. With their industrial and rough appearance, Crowd Candle Holders look like material experiments or miniature installations, as a result of a clash between art and design. Moira Mesh is the one an only member of the Crowd Candle Holders family with a brass base. 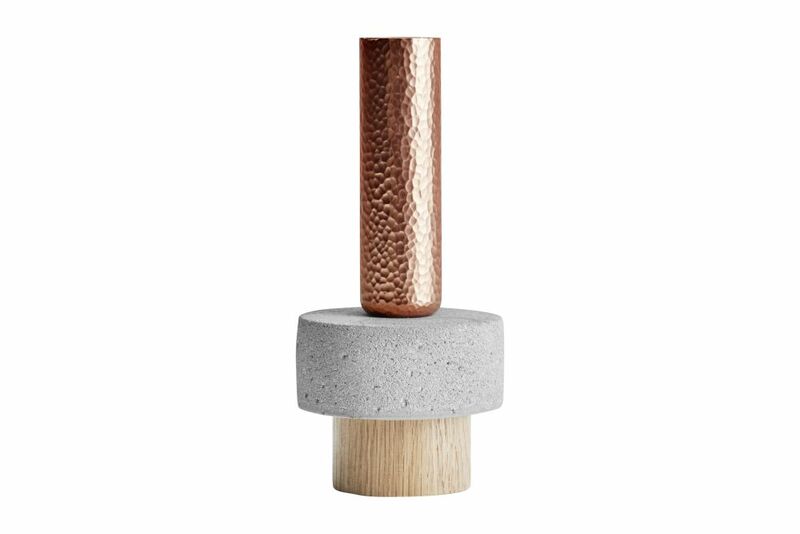 Playing with concrete, steel and copper, David has turned the Crowd Candle Holder into much more than just a candle holder. David is a true contemporary artist/designer, combining elements from both art and design in his work. He loves to work with the limits and constraints that materials naturally bring to the creation process. First comes process, then comes David.